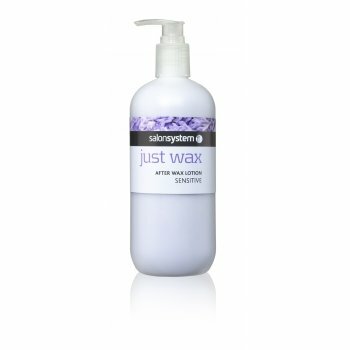 Salon System Just Wax Sensitive After Wax Lotion (500ml) is formulated with aloe vera to cool and organic lavender to soothe. Calm down client skin after wax hair removal treatments. Smoothes and moisturises the skin after any waxing treatment. Can be used on all areas.